Provide comfort for the family of Kevin Dome with a meaningful gesture of sympathy. 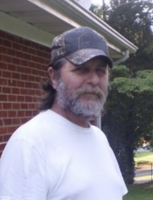 Kevin Dome, 64, of Lake Panasoffkee, FL, passed away Monday, March 18, 2019. He was born in Long Island, New York to Edward and Marie Dome. He was a member of the Moose Lodge and he enjoyed fishing and riding motorcycles. He is survived by his companion, June Lundquist of Lake Panasoffkee, FL; daughters: Kristen Riutta of Knoxville, TN, Virginia Dome of Maryville, TN; son: Kevin Dome of New Rachelle, NY and grandchildren: Kayleigh, Shelby, Raven and Kelsea. He was preceded in death by his wife, Barbara Ann Dome. In lieu of flowers, please consider a donation in his memory to Cornerstone Hospice, Lane Purcell Hospice House. To send flowers in memory of Kevin Dome, please visit our Heartfelt Sympathies Store. Provide comfort for the family of Kevin Dome by sending flowers. May the family of Kevin Dome please accept my sincere condolences hoping you find comfort in God's words at Acts 24:15 and Psalm 37:29.